Legal Department: 1411 Broadway, 30th Floor, New York, New York 10018. Title of Submission Short Description of Submission (300-500 words) Two non-confidential documents (e.g. patent application or patent and/or any drawings). Indicate whether it is a US Patent, EPO Patent, PCT Patent, or Other. Indicate which of the following and provide: Patent Issued (Y/N)–Provide Patent #; or Patent Application Filed (Y/N)–Provide Serial #; or Provisional Application Filed (Y/N)–Provide Application #s PATENTED IDEA SUBMISSION PROCEDURES. In order to protect the interests of both the idea submitter and FILA, we have adopted a number of practices regarding the submission of patented ideas. These procedures best protect eveyone’s interests. We appreciate your understanding. First, we ask you to read the Terms and Conditions set forth below. These Terms and Conditions explain that we accept ideas only on a non-confidental basis, and that we only evaluate ideas that are protected by a patent or for which a patent application has been filed. 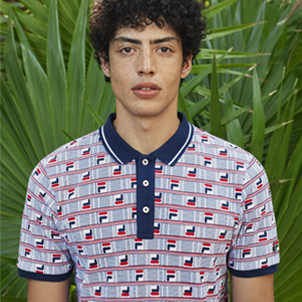 If you choose to submit ideas to Fila, you do so under the Terms and Conditions set forth below. 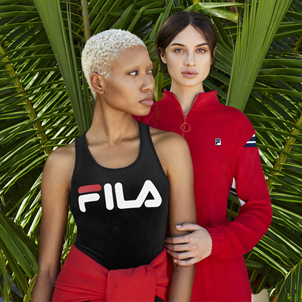 Once you have submitted your idea and included the patent information, if your idea fits within the scope of FILA’s current business, we will forward the idea to the appropriate area for evaluation. When the evaluation is complete, we will communicate the result to you. Even if the submitter has no interest in receiving remuneration, we cannot accept any idea unless it is protected by a patent or patent application. We do not accept suggestions or product names, advertising material, or marketing campaigns. Further, we do not accept suggestions for ideas that are subject to protection by Design Patents or Copyrights. Please understand that we receive a large number of submissions. While we appreciate all of the ideas we receive, it is impossible for us to continue corresponding with those submitters who do not follow our procedures. 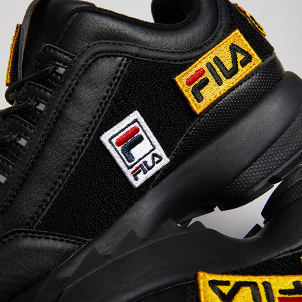 Hard copies sent via mail is the only method for submitting Patented Ideas to FILA. All other inquiries by telephone, email, website, or personal contact will be directed to follow these procedures. TERMS AND CONDITIONS In submitting a patented idea to FILA, you agree to be bound by the following conditions: You understand the Patented Idea Submission Procedures set forth and accept the conditions without reservation. You agree that you are disclosing your idea on a NON-CONFIDENTIAL BASIS and agree that there is to be NO CONFIDENTIAL or CONTRACTUAL RELATIONSHIP whatever established in connection with your submission or the evaluation of the idea. Your idea is patented or the subject of a pending patent application. You warrant that you are the owner or authorized agent of the idea being offered and that you are legally free to make the disclosure and to convey patent rights to the idea being offered. The idea is the subject of an issued patent or patent application, and you agree to provide the patent or application number. FILA has no obligation to refrain from use or to pay for the use of any idea not specifically defined and covered by the claims of an issued, in force patent, unless FILA should agree otherwise in writing. You acknowledge that the idea may be posted on FILA’s internal ideas database. You agree to provide your name, address, phone number, and email address. You agree to rely wholly on your patent rights, as defined by the Claims of an Issued Patent.